I have a similar chart in my book Digital Student Portfolios: A Whole School Approach to Connected Learning and Continuous Assessment (Powerful Learning Press, 2014). Actually, I shortened it down to just progress and performance portfolios, for sake of brevity. Now that I have had a few months to reflect on what I wrote, I am not confident that this is how assessment really looks like in the classroom. Teachers don’t naturally parse out these different methods. The classroom is too kinetic and dynamic to allow the teacher to separate the three. 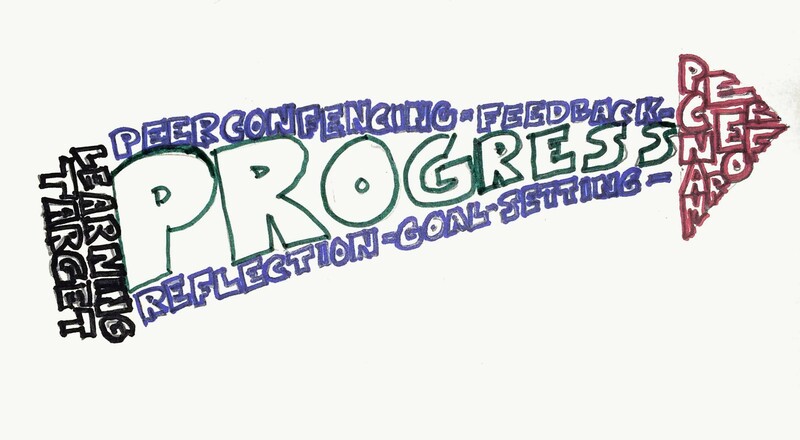 It’s the process that helps students make progress toward optimal performance. 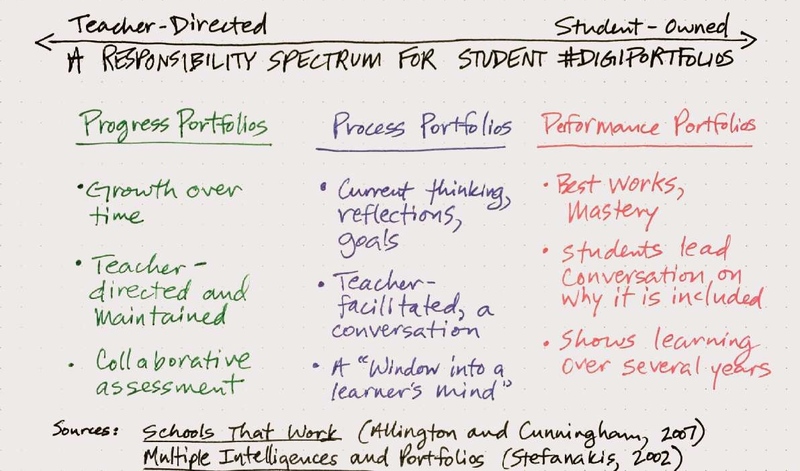 Putting the different portfolios within the context of a learning progression makes more sense. This does require that teachers spend more time on preparing for responsive instruction, and subsequently giving up some of the planning for activities that have little to do with essential understandings.